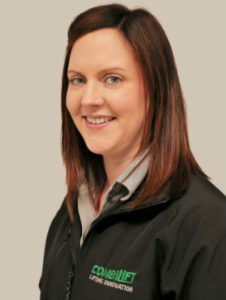 Aine leads the Health, Safety, Quality and Environmental Department for Glan Agua Ltd and MEIC Ltd in Ireland and the UK. Aine has over 15 years’ experience in HSQE on major civil, water and wastewater infrastructure projects ranging in value up to €92 million. Glan Agua Ltd are are industry leaders in providing project solutions for the water and wastewater industry including design, construction, commissioning, operation and maintenance. MEIC are a progressive and established firm that provide a higher standard of service in Civil Engineering, Building Construction and Environmental Services. Both companies form part of the Mota Engil Group, Portugal’s leading construction and engineering service providers with a turnover of €2.3 billion and a workforce of over 28,000. 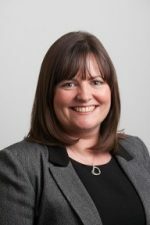 Her role also involves the overall management of the ISO 9001, ISO 14001, OHSAS 18001 and ISO 50001 Integrated Management System across the UK and Ireland. Barry has been working in the Renewable Energy sector since 2011, with 10 years previous experience in the Construction industry. 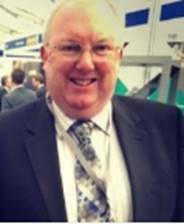 In Renewables Barry has held roles in Project Development, Asset Operations and most recently Health & Safety Management. Barry holds a BSc in Occupational Safety & Health, in addition to qualifications in Architectural Technology, Sustainable Design and Geographic Information Systems. Clive Derham is Multi Discipline, Professional, Facilities Manager and a serving Police Officer with An Garda Síochána, based at national Headquarters, Phoenix Park, Dublin. Originally, a military garrison, Garda Headquarters is a Victorian Heritage stone Complex, dating from 1850, The Complex is operational, 24×7 hrs with 365 operations, housing Architecture, that supports national Security and Information Systems, The Complex is challenging, in housing many key components of National State Security in one physical strategic location. Clive fulfils a multi discipline role with which demands fastracking solutions in a challenging environment. 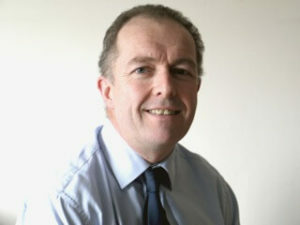 Declan has worked in the Environment section in Enterprise Ireland since 1994. His background is in Air Pollution from Industrial sources and he was involved in Enterprise Ireland’s Emission Monitoring service until 2006. 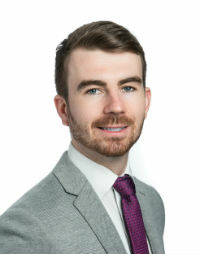 Declan joined the Competitiveness Department in 2012 where he manages Enterprise Ireland’s Green Offer as well as support and advice to client companies on environmental matters. He is also involved in supporting Lean programmes with Enterprise Ireland clients. Declan has presented at various environmental events throughout the country. Finbarr Stapleton, Antaris, has a B.Sc. in Industrial Chemistry and a Diploma in Occupational Health & Safety and is a member of IOSH. 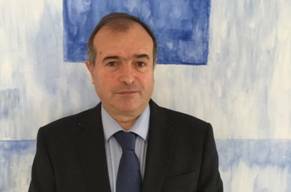 He has over twenty five years experience, initially as Laboratory Manager in an Analytical Laboratory, a number of years experience as an EHS Manager in the Food Industry and subsequently in technical consultancy. He has successfully implemented OHSAS 18001/ISO 45001, ISO 9001, ISO 14001 and ISO 50001 in a large number of industries. He has extensive experience of quality management and environmental and health and safety management systems, energy management, waste management as well as environmental and health and safety legislation. He is a qualified Auditor of ISO 9001, OHSAS 18001/ISO45001, ISO 14001 and ISO 50001 management systems. 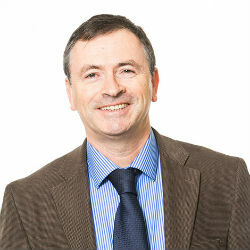 Finbarr has also extensive experience of energy management systems such as ISO 50001. Finbarr also holds an NUI Certificate in Training and Continuing Education. He is the lead tutor for the Nebosh International Certificate and Diploma courses Antaris offer in partnership with SQT. 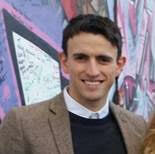 Jason is a Programme Executive with Sustainable Energy Authority of Ireland (SEAI). 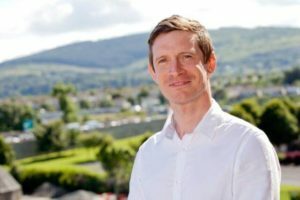 Since joining SEAI in 2014, Jason has worked with the Energy Demand Management team helping to deliver a range of supports to the public and private sector. He is now working with the Development team and focusing primarily on the EXEED Certified Programme and grant scheme delivery along with the development of the Support Scheme for Renewable Heat (SSRH). He is also responsible for the implementation of SEAI’s ISO 50001 Energy management system standard. Jason graduated from National University of Ireland, Galway and Dublin Institute of Technology with a bachelor’s degree in Civil Engineering and a master’s degree in Energy Management respectively. 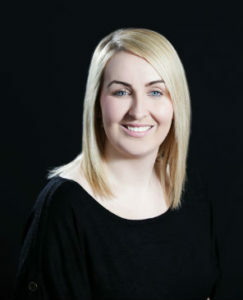 Starting in Neopost Ireland Ltd in 2008 Laura has over 10 years of Customer Service Experience within the franking and document management solutions to Irish businesses. 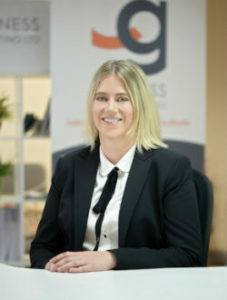 Starting out as a customer service administrator, within her career she has expanded to other areas of the business such as the Quality Environmental Health and Safety Representative in 2009 taking control of the existing ISO 14001 & OHSAS 18001 systems and introducing the ISO 9001 into the organisation in 2009. After her many years of experience Laura became the Customer Service Manager in 2012 for Neopost Ireland Ltd to support the local team in Ireland but her role has expanded to help other countries within Europe for various different projects. 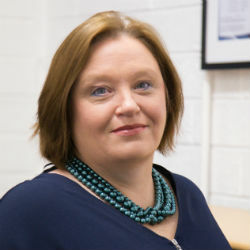 Her most recent venture within the organisation was to take part in the GDPR Team to implement the changes which fall under the General Data Protection Regulations and she is now the Information Access Manager for Neopost Ireland Ltd consisting of managing all GDPR related queries. In 2008, Laura completer her Honours Business Management Degree (BBS) from the Institute of Technology Tallaght (ITT) and in 2016 she completed a Master of Business Administration (MBA) with elective study in Human Recourses from Dublin Business School (DBS). Final thesis submission title “The difficulties in achieving a successful integration in Mergers and Acquisitions”. In 2011, she wanted to expand her health and safety knowledge by completing a FETAC Level 5 Safety and Health at Work Certificate (2011). During her role of the QEHS Representative, Laura has been actively involved in many areas of the system including Health & Safety for Safety Representative Course (2010), Risk Assessment Course (2010), CPR and AED Training (2016) and Manual Handling Training (2018). 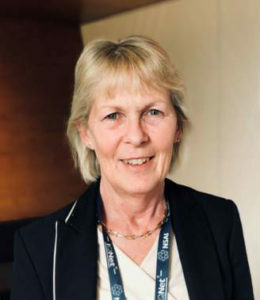 In 2009, she was responsible for introducing the ISO 9001: 2008 into the already existing environmental, health and safety systems in place within the organisation which she has managed to successfully keep over the last 9 years. Laura has taken part in many charity events including the Great Pink Run in Aid of Our Ladies Hospice in 2017 raising over €1,000 in sponsorship. Along with her corporate social responsibility team, she has planned to complete the following events in 2018 to help raise money for their charities, raise awareness and also to donate the employees time to help organisations in much need of the support. Dr. Leo Fleming-Ferrell holds a Bachelor of Science (BSc Mgmt.) from Trinity College Dublin, a Masters of Business Administration (MBA) Dublin City University Ireland, Masters of Science from the Institute of Technology Carlow and a Doctorate of Business Administration (DBA) from the University of Phoenix USA. Leo has diplomas in industrial engineering; he is a lead auditor quality systems auditing both in ISO 9000 and ISO 13485 Medical Devices. He has trained in the USA as a black belt in Six-Sigma. Leo has more than 30 years, experience working in a wide range of manufacturing industries including, medical diagnostic chemicals, medical devices, inclusive of aseptic filling and precision laboratory liquid handling equipment, printing, masterbatches, and plastics. He has held management positions both international and national level in the areas of quality, operations, environment, health, and safety. Leo has worked on five continents and lived in Germany, France, and Switzerland. Leos current role is Quality, EHS, and Regulatory Affairs Manager – Celestica Ireland Ltd, Leo’s main academic interests are in the practical application of continuous improvement and sustainability in manufacturing type organizations. Expert in energy efficiency and internationally recognized energy management. He is a marine engineer from the Cork Institute of Technology, with a certificate of competence in Class 1 and an MBA from the Open University. He has developed his career in the field of energy management since 1990. He is Certified Energy Manager International (CEMI) AEE (Association of Energy Engineers).Member of the technical committee TC 301 of ISO (International Organization for Standardization) since its foundation in 2009, is editor and reviewer of international energy management standards (ISO 50001 and derivatives, such as ISO 50002, ISO 50015).Recognized as an international expert in energy management for the United Nations Industrial Development Organization (UNIDO) and leading trainer at ISO, he directs the training that this organization teaches in more than 16 countries today. He has also developed and delivered training and lectures at various universities and representatives of national energy agencies from more than 100 countries.He is a technical expert at INAB (Irish National Accreditaion Board), accrediting certification bodies in ISO 50001.He has led the implementation of Energy Management Systems for numerous international clients, directing the process of planning, data analysis, training and operation, and especially focused on the technical visits of search of energy saving measures, definition of performance indicators Energy Audits, and Retrocommissioning (RCx).GEN Europe coordinates and supports the energy efficiency work of our customers, focusing on a systematic approach to energy management, improving energy efficiency and reducing costs. 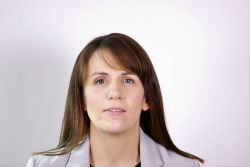 Maria McKeown is the lead auditor within NSAI’s Business Excellence division, engaging with organisations to achieve certification to management systems. Her role includes performing pre-assessment, registration and surveillance audits to management systems, such as ISO 9001 for Quality Management and ISO 14001 for Environmental Management. The scope of Maria’s work includes auditing in Ireland, UK, Holland, USA and the UAE. Maria was actively involved in the systematic review of OHSAS18001:2007 and OHSAS18001:2008 at an international level and participated in the development of the new ISO 45001 for Occupational Health and Safety. Additionally she has participated on NSAI’s technical mirror committees, which are responsible for developing the national position on a particular standard, such as the ISO 31000 mirror committee for Risk Management and the ISO 26000 mirror committee for Corporate Social Responsibility. Michael is the Financial Accountant and energy manager for An Garda Síochána. Prior to joining An Garda Síochána in 2000, Michael spent 17 years in the private sector manufacturing, retail and warehousing in Scotland and England where he held a number of financial positions. An Garda Síochána became the first police force in the world to achieve ISO50001 for Garda Headquarters and its fleet in April 2016 and subsequently Garda College in December 2016. Míde Ní Shúilleabháin is Croke Park Sustainability and Safety Officer and is coordinator of the stadium’s Integrated Management System, which encompasses Croke Park’s ISO 20121:2012, ISO 14001:2015 and BS 18001:2007 certifications. 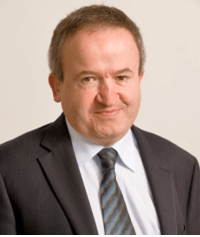 Prior to joining the Croke Park team, Míde was a lecturer with the School of Law & Government in Dublin City University and previously served as a policy adviser in the European Parliament in Brussels. Míde is part of a close and committed team that works to maintain and advance Croke Park’s standards of excellence in environmental, safety and sustainable event management. 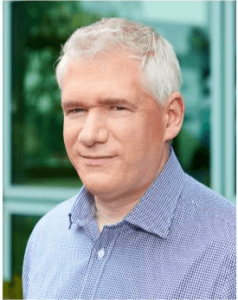 Oliver is the Managing Director of AcclivityCRM. AcclivityCRM delivers Customer Relationship Management and Process Management Software solutions. Oliver is an experienced, successful and resilient manager with a proved track record of delivering IT solutions and a strong interest in the latest technology trends. With Oliver’s Project Management background, he emphasises a structured, goal oriented approach to delivery, but understands the importance of Customer relationships and works hard to keep Customer Service at the heart of everything AcclivityCRM does. Oliver has 20+ years’ experience working in professional bodies, financial services, telecommunications, education, gaming, manufacturing, distribution, retail, property and software development/consultancy, delivering solutions in-house, to partners and for customers. Paul leads the development and implementation of Lidl Ireland & Northern Ireland’s energy strategy, where he is responsible for optimising the energy performance of approximately 200 properties.This includes a growing portfolio of 192 stores, 4 warehouses and 1 head office. In 2017 Lidl became one of the first major retailer in Ireland to achieve ISO 50001 certification across its entire network of properties, marking a significant milestone on their energy journey. 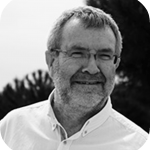 Paul has held a variety of technical and non-technical positions in Germany and the UK, spanning sectors such as energy utilities, wind farm development, datacentres and eco buildings. During his time in the UK he volunteered with the EU Fuel Poverty Network, conducting research on behalf of Islington Council’s SHINE Scheme. This scheme aims to combat seasonal health issues experienced by the most vulnerable of society and has delivered over 20,000 energy interventions to date. In 2013 Paul Moloney was awarded the School of Engineering Excellence Award and in 2014 he received a Masters Scholarship at NUI Galway, before graduating with a Master of Engineering in Energy Systems Engineering. As part of his research he played an important role in the development of Boston Scientific’s Global Energy Management System (GEMS), with a research emphasis on developing techniques for diverse property portfolio energy management. Richard has been with IMSM since its infancy. Originally a lawyer, he has always had an interest in what makes a company tick so the opportunity to work with such a variety of businesses through ISO certification couldn’t be better. 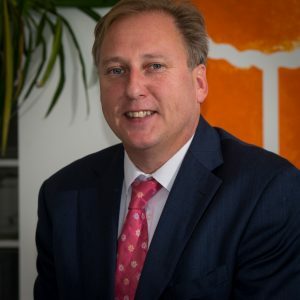 Richard started the US operations a couple of years after joining IMSM and now has a client base that extends throughout North America, Europe and Asia, ranging from small independent manufacturers to major corporations, and data security companies that contract to UK and USA Government departments. Richard has seen IMSM grow over the years which gives him an invaluable and detailed insight into the process a company needs to go through to gain certification. He spends ten days a month in the US working with clients around Virginia, Maryland and DC and the rest his time is spent in the UK. Ensuring clients get the best return on their investment through Certification to ISO Standards. Rob is a highly motivated Sales Manager with excellent communication skills and a strong track record in maximising sales opportunities through effective analysis of key account performance, territory management, new product listings and development of strong customer relations. A key contributor in the development of business strategy and sales development. Customer focused results orientated, flexible and a committed team player. Benetel develops leading edge hardware platform solutions for 4G/LTE eNodeB Small Cells. Offering off-the-shelf baseband and RF modules in a variety of frequency bands and output powers as well as design and test services, Benetel enables OEMs to radically increase the speed to market of the newest LTE network infrastructure. With a highly skilled team specialised in RF Design and Design Verification Testing (DVT) and over 15 years’ experience developing ultra-efficient and compact hardware powered by industry-leading chipsets, Benetel eNodeB solutions support increasingly challenging wireless applications in areas such as Public Protection and Disaster Relief and remote connectivity. Susanne has more than 20 years’ experience in Quality, working with Leading Telecommunications and Electronics companies including Motorola, Teradyne and Intel. 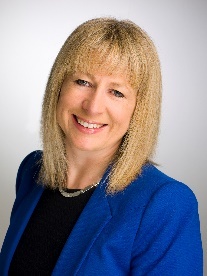 Susanne is also an experienced external assessor and is an EFQM Assessor and ISO Lead Auditor. Her areas of expertise include Quality Management Systems implementation, Lean, 6 Sigma and Supplier Management. Tara Kenny is the Health and Safety Manager with Combilift, the forklift manufacturer and material handling solutions provider. Tara led the process to achieve and maintain the OHSAS 18001 and ISO 14001 Environmental Management certification for the new Combilift Global Headquarters. Certified to international quality and safety management standards, the new €50 million Combilift Global Headquarters and manufacturing facility has also been awarded ISO 9001 international quality management system. Tara has previously held health and safety positions in the food manufacturing, transport and training sectors. She holds a Masters in Environmental Health and Safety Management from Dublin Institute of Technology and a Postgraduate Higher Diploma in Applied Science – Occupational Health and Safety and Hygiene from NUI Galway. Vivid Edge (VE) is making energy efficiency compelling for large organisations with a pioneering ‘energy efficiency as a service’ model. VE provides capital for energy efficient equipment and ongoing maintenance (heating, cooling, lighting, control systems & more). Customers simply pay a monthly service fee that is often lower than the immediate energy savings. 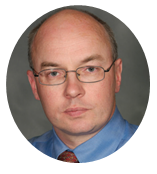 Dr Victor Hrymak is a fire &safety consultant and the principal lecturer for the MSc in Environmental Health & Safety, at the Dublin Institute of Technology. 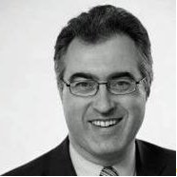 He has over 30 years of experience with public and private sector organisations. This extensive experience includes inspection and enforcement roles in London, as well as head of Fire & Safety for Trinity College Dublin. 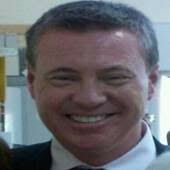 He is a published safety author and has presented at National and International academic and professional conferences. His expertise and research involves safety auditing, the selection and conduct of risk assessment methods and the implementation of safety management systems. Vivienne holds a Bachelor of Science (Honours) in Occupational Safety & Health from the Sligo Institute of Technology and is graduate member of IOSH (Institute of Occupational Safety and Health) for continuous improvement and commitment to health and safety practice and procedures. Vivienne’s prudent approach to her own professional development in the Quality, Environment, and Health & Safety industry is pertinent to the quality of work she produces when implementing ISO management systems for clients. With considerable experience working across diverse industry sectors, Vivienne has also been involved in the implementation of ISO 9001, ISO 14001 and ISO 45001 management systems, the coordination of company training plans and manual handling training. Vivienne was also previously appointed Person/Co-ordinator for the safe use of cranes in the construction industry training programme.